Many of you have already heard about Plitvice Lakes, but maybe they were not in your initial plan for a holiday in Croatia. Hot summer in Croatia is the ideal time to enjoy the beach and to stroll through the streets of the cities blessed with a rich history, sometime in the evening. But of course, the beauty of nature is also reflected through national parks and nature parks. 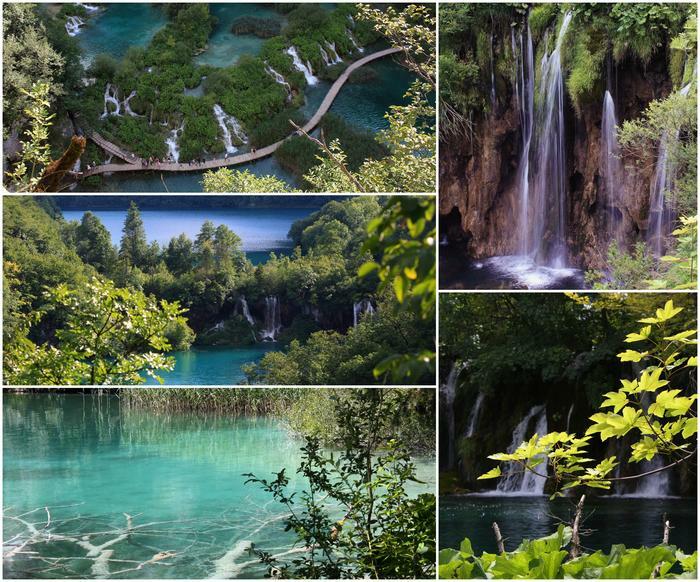 Plitvice lakes are one of them. The fact that Plitvice lakes are proclaimed as a UNESCO World Natural Heritage in 1979 speaks for itself. Unattainable beauty of the Plitvice Lakes is expressed through 16 natural turquoise-blue lakes created through years of making limestone from the water. A lot of canyons, caves and waterfalls barriers got created from the limestone which made perfect space for the lakes to appear. Surrounded by a magical forest and various different herbs, Plitvice lakes truly are a land of wonders. How to get there and how long to stay? Plitvice lakes are very well connected by a highway and can be reached by bus or a private car. Buses that go to the lakes are air-conditioned and run from any place in Croatia, no matter whether you come from Zagreb and coastal cities like Zadar and Split, or even the farthest like Dubrovnik. For example, driving Split – Plitvice lasts for about 3 hours, while driving Zadar – Plitvice lasts less than 2 hours. To fully experience the magic of the lakes, you have to stay as long as possible – of course. A variety of activities are available there: from walking, cycling and climbing to paintball and zipline. We recommend at least one night at the Plitvice lakes, and of course – the longer you stay, the spell of nature lasts longer. Except the high season time, Plitvice lakes are wonderful in spring and autumn time, but even during the winter. If you're lucky, in the winter time you will be able to see frozen waterfalls! A huge attention should be given to the protection of nature. You can find a bunch of instructions to be followed, available in the brochures and on the maps that are set in multiple locations. In order to preserve the precious beauty of the lakes and in order to be able to admire them as long as possible, please respect the rules of conduct.